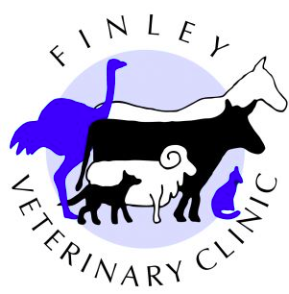 The Finley Veterinary Clinic has operated for over 45 years and we pride ourselves on the part we have played in overall animal health and welfare in the region and in the advanced, innovative dairying we service. We are an innovative clinic that offers a high level of service for both companion animals and production animals. Our team is highly trained and regularly attend continuing education courses and conferences. This ensures our advice and treatments are based on the latest scientifically accepted evidence. This is backed by the excellent facilities and equipment we have invested in at the clinic. The clinic has recently been renovated, giving us a new consult room and completely new reception area. This gives you, as a client, access to a first class facility. We sell a large range of health care products, feeds and veterinary medications. We are part of the Southern Riverina Vets group so have access to the benefits of being part of a larger group. For emergencies we offer a 24 hour service. Call on the normal number listed above and you will be diverted to the veterinarian on call.